Balasore: After a few days lull ATM looters struck the district again last night and looted cash from a cash dispensing machine located in Kandagan village under Basta block. 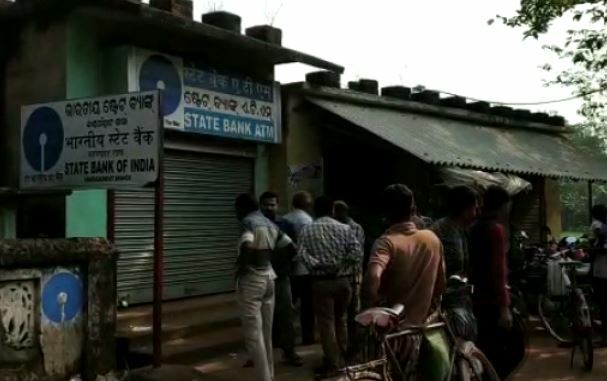 As per the report, some customers who arrived at the State Bank of India (SBI) ATM located in the village to withdraw money found the unit vandalized with cash missing from it. They immediately rang up local police. Bank officials assisted by locals police rushed to the spot immediately and conducted the preliminary investigation. While the exact amount of cash missing from the looted ATM is yet to be assessed, bank officials said it could only be revealed after examination by the technical team.